It’s been a long time since we’ve had a chance to review a laptop powered by an AMD CPU, but Acer has now launched the Acer Swift 3 powered by Ryzen Mobile, and we’ve got a chance to look at one. AMD has had a tough run in the laptop space over the last couple of years, but with the release of Ryzen in 2017, they are hoping to turn their fortunes around. But a big part of that will be having their partners package Ryzen into laptops that are of high quality, so that’s where Acer comes in. 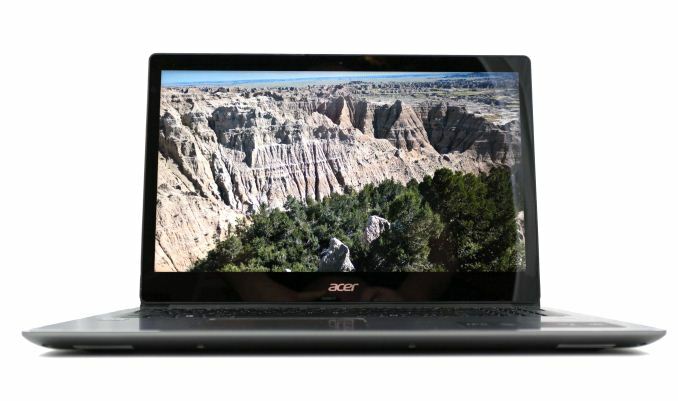 Acer’s Swift 3 lineup is about middle of their lineup, which includes the Swift 1, 3, 5, and 7 models, and it’s a wide lineup, with Swift 3 models in both 14-inch and 15.6-inch versions, with both AMD processors with Vega graphics, as well as Intel processors, and some of those come with an optional NVIDIA GPU as well. For this review, we’ll be looking at the SF315-41-R6J9, which is a 15.6-inch version with the top-end AMD Ryzen mobile processors in the Ryzen 7 2700U. AMD Ryzen 7 2700U is a quad-core processor with eight threads, and it has a base frequency of 2.2 GHz with a boost frequency of 3.8 GHz. It supports dual-channel DDR4-2400, and has 384 KB L1, 2 MB L2, and 4 MB L3 cache. But possibly the most exciting feature is the Radeon RX Vega 10 graphics, and in the 2700U it’s the largest GPU available with 10 GPU cores, and a boost frequency of 1300 MHz. 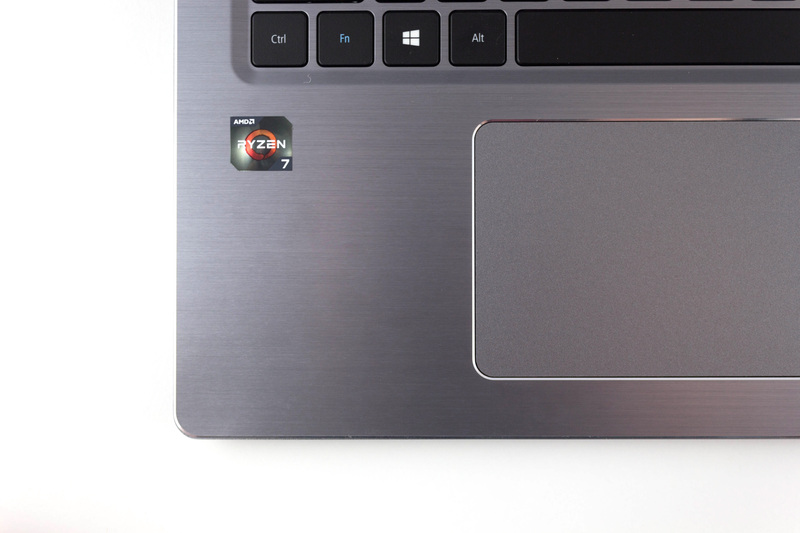 Acer’s top model of AMD based Swift 3 comes with enough connectivity in the USB-C port (Gen 1 - 5 Gbps) along with two USB 3.0 ports, and a USB 2.0 port. There’s also an HDMI output with HDCP, and a SD card reader, which is a solid amount of connections on a laptop. While the 8 GB of RAM might seem a bit low, for this mid-range level of notebook, it’s likely enough. Acer also includes a fingerprint reader with Windows Hello support, and Wi-Fi based on the Qualcomm Atheros QCA6174A, which is a 2x2:2 802.11ac wireless NIC with MU-MIMO support and Bluetooth 4.2. Before we take a deep dive into the performance, let’s first go over the design that Acer has created for the Swift 3. It will at least finish the benchmarks, which is something. It won't be acceptable for someone looking at a "gaming" laptop, but if you want to be able to launch like Civ 6 or Motorsport Manager and get an acceptable experience, it'll do. Sure, but having the option to play it upscaled from 720p and lower settings is better than not having that option. I'd like to see this laptop, but with a bigger battery and the APU configured to 25W or even 35W TDP. How would the Swift 3 w/Ryzen compare to the Swift 5 w/Intel? Personally I prefer the 14" form factor of the Swift 5, but I assume it lacks any gaming chops at all? So the Surface Pro with the Iris maintains ~50% performance advantage over the HD graphics in the 8550U, but the gains completely disappear at the enthusiast setting. It sounds like a configuration, or even a driver bug.